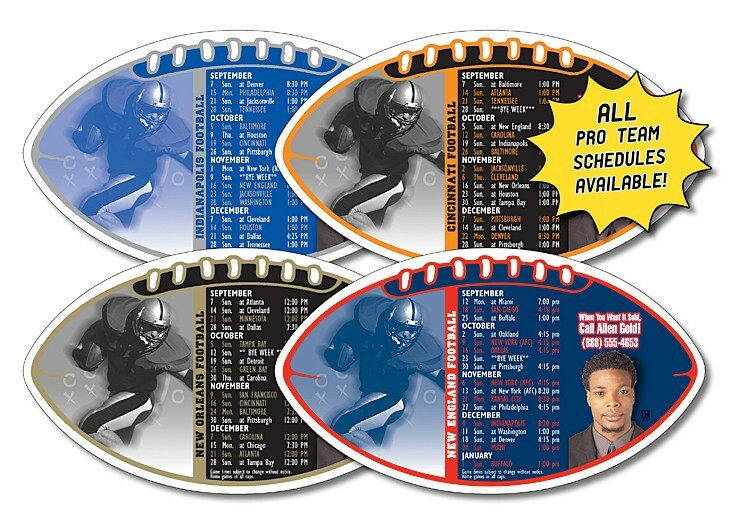 Magnet Sport Schedules - 4x7 Football Round Corners - 25 mil. 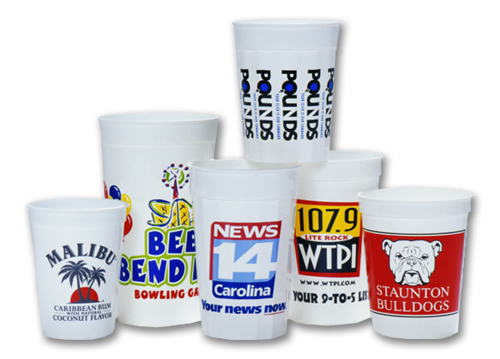 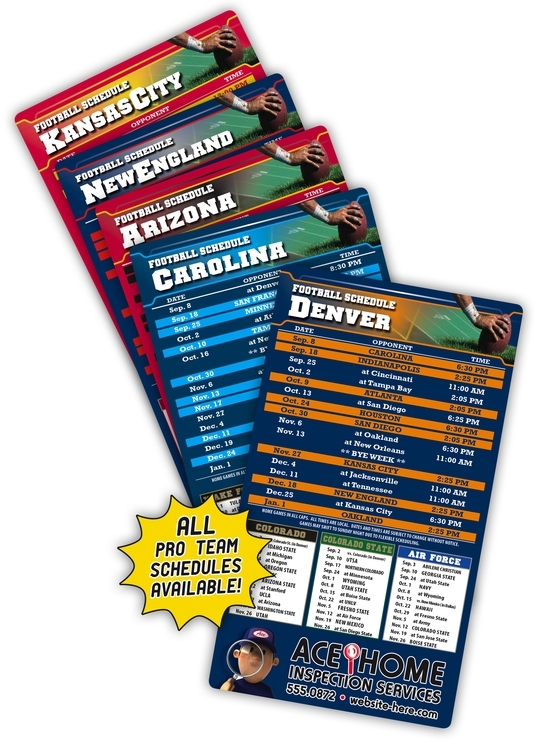 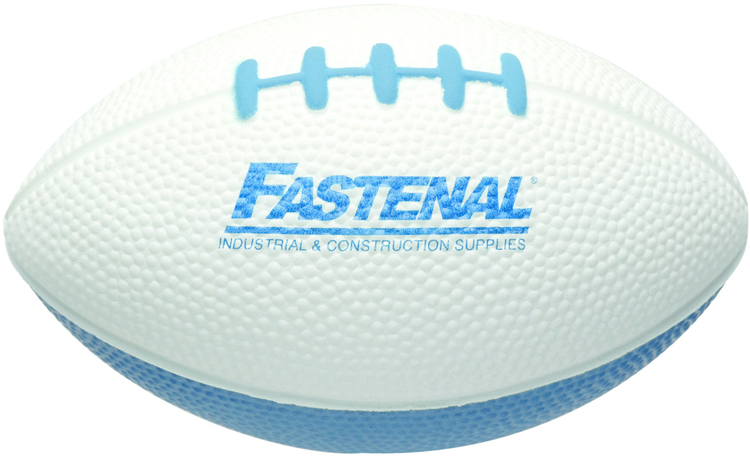 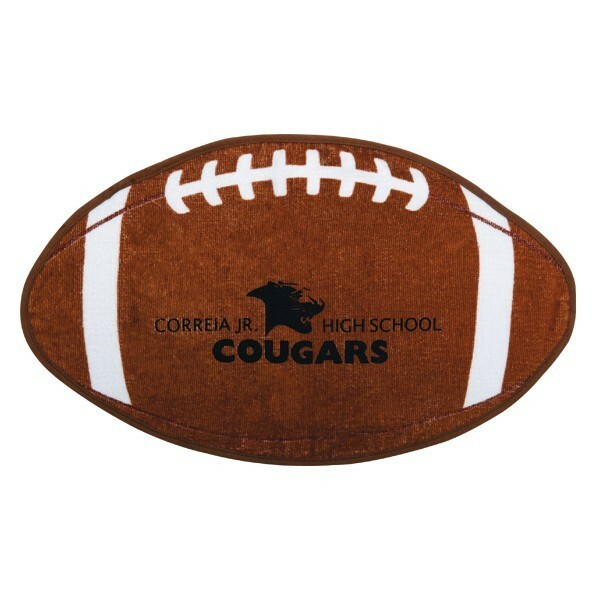 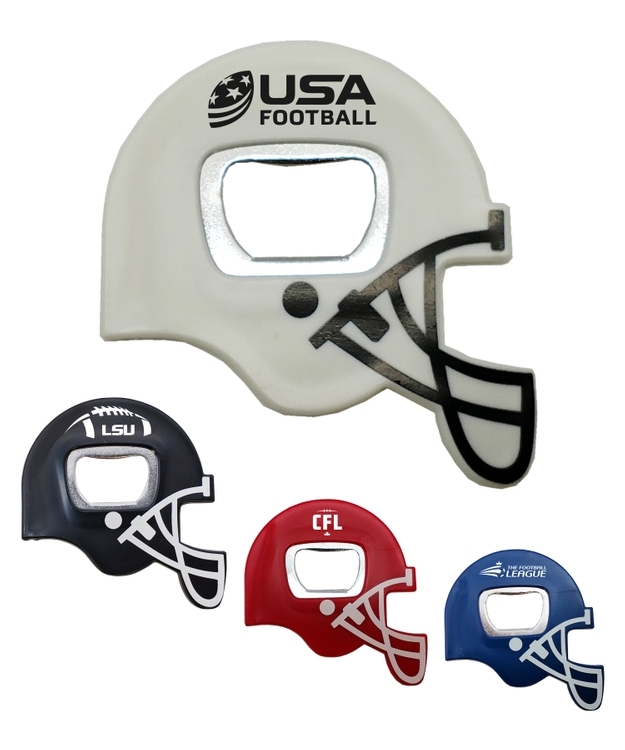 Magnet Sport Schedules - 4x7 Football Round Corners - 20 mil. 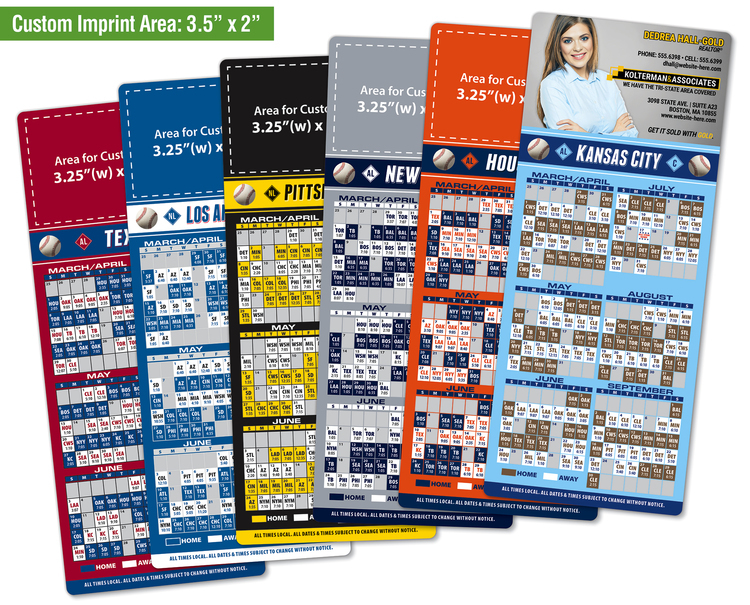 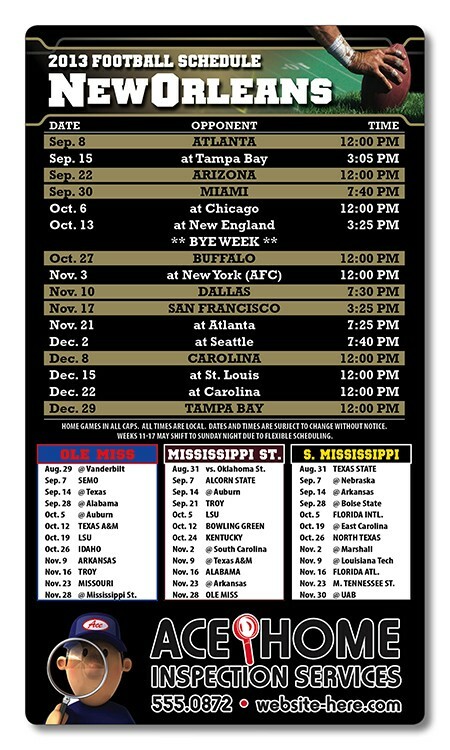 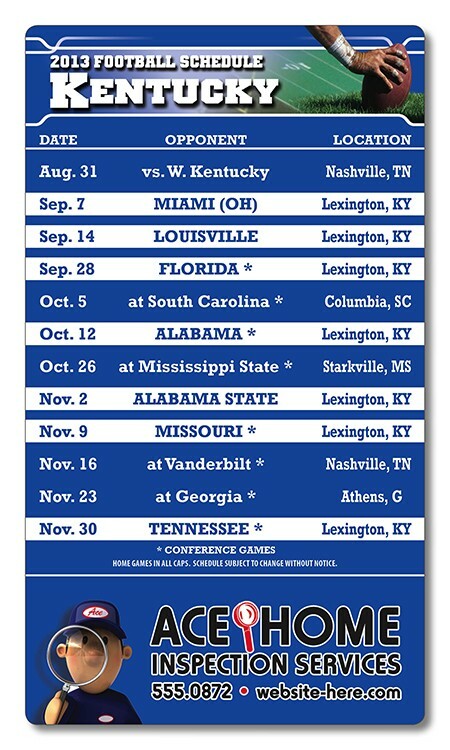 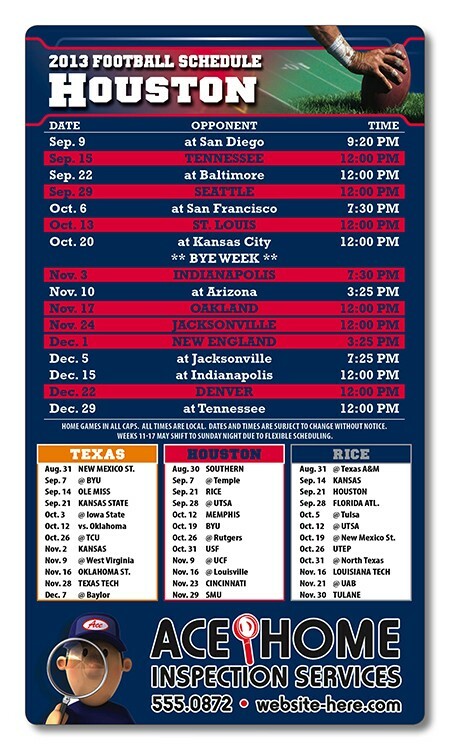 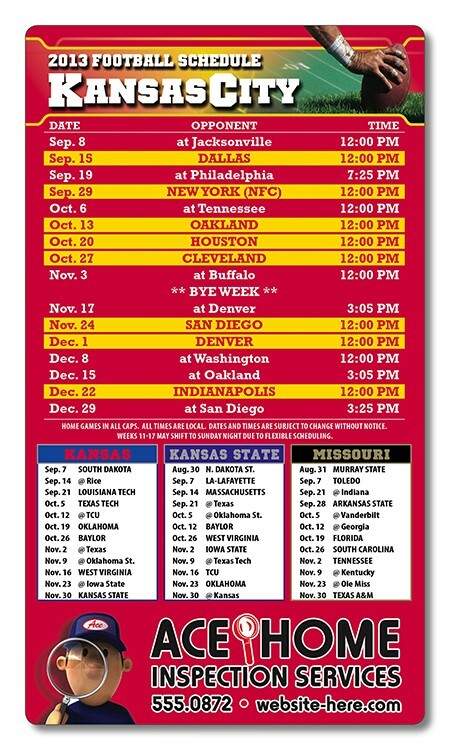 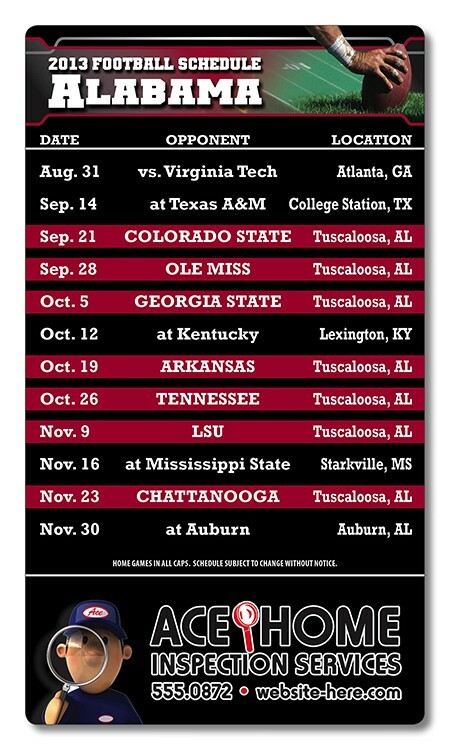 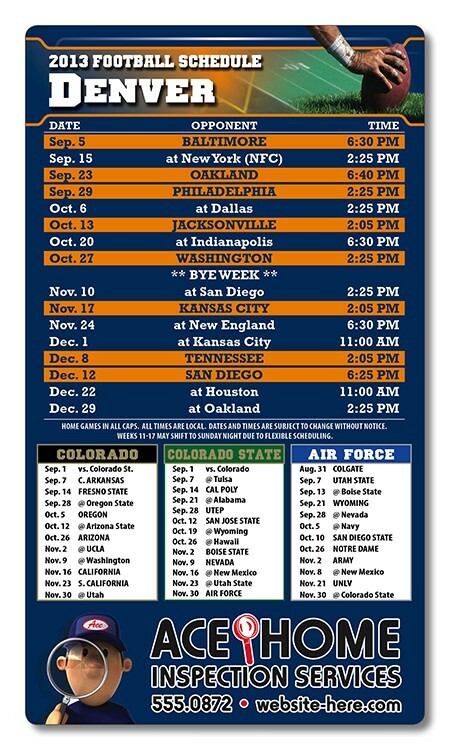 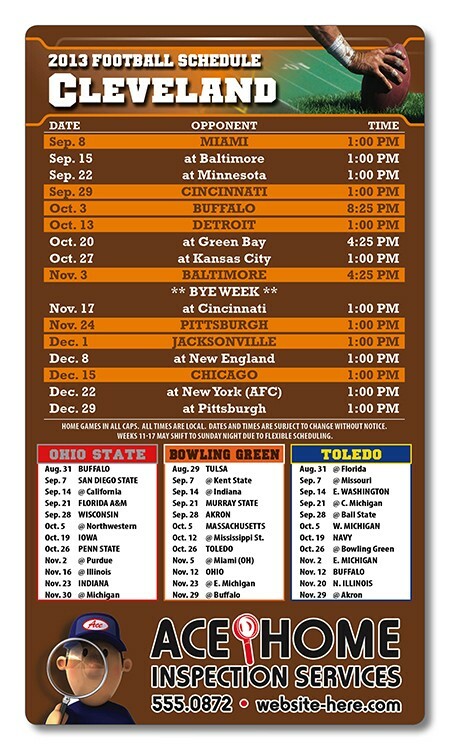 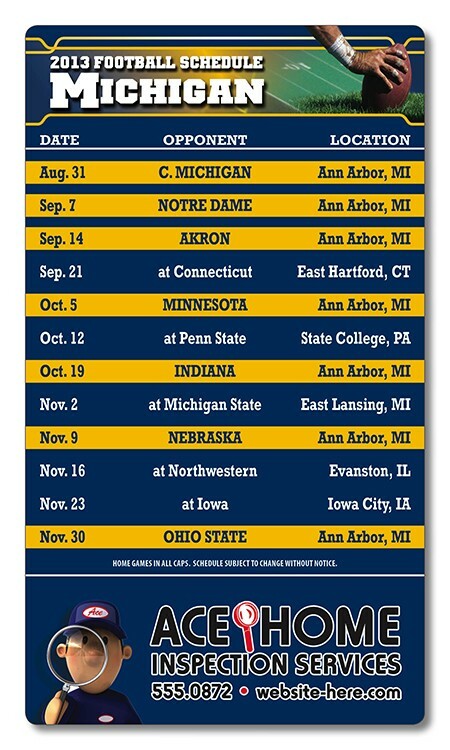 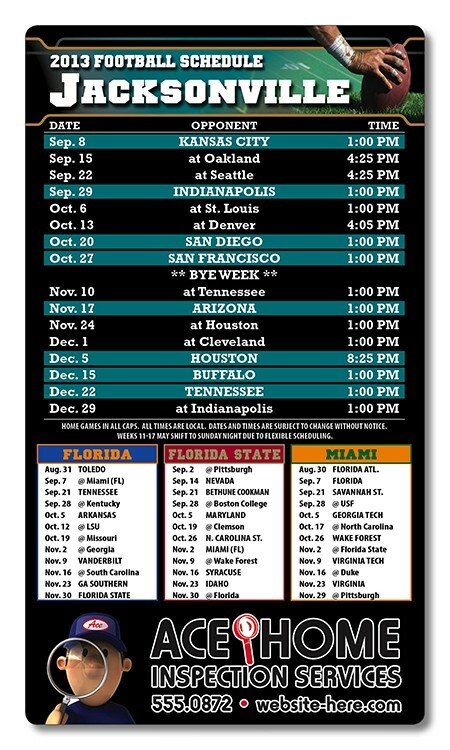 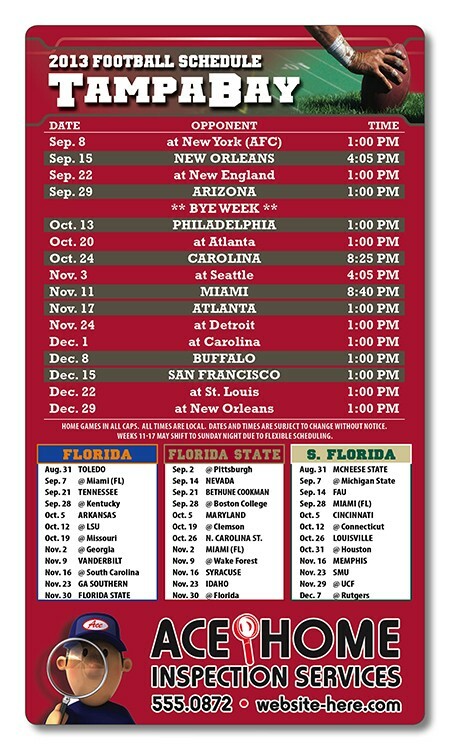 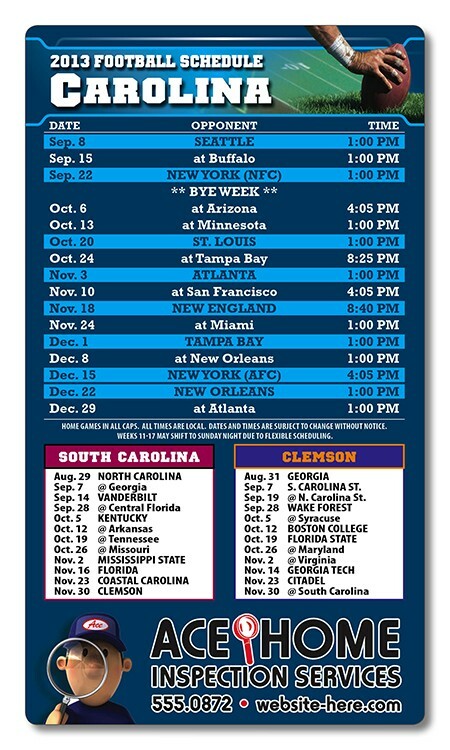 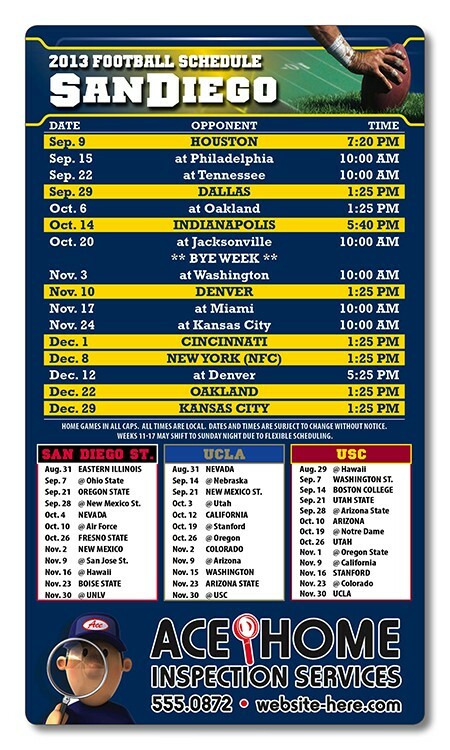 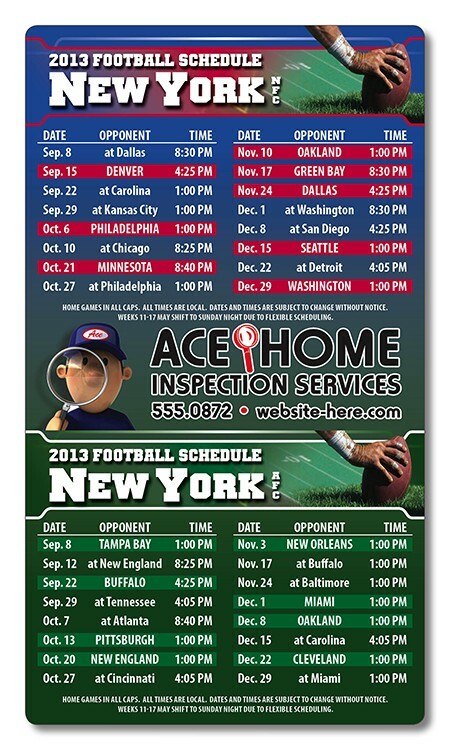 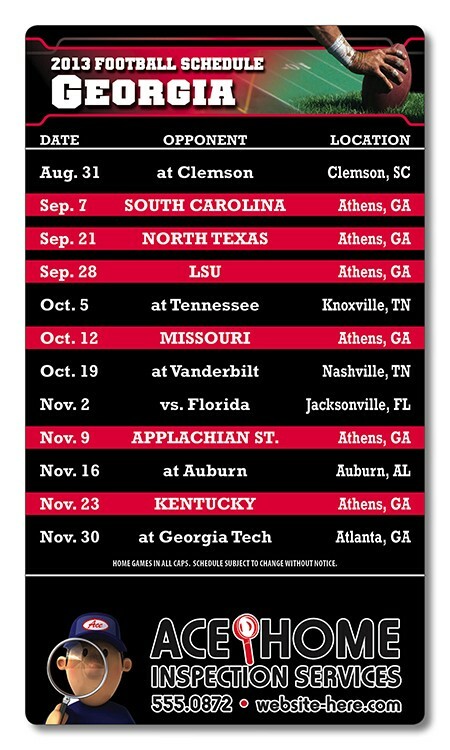 Magnet Sport Schedules - Football Shape (7x4) - 25 mil. 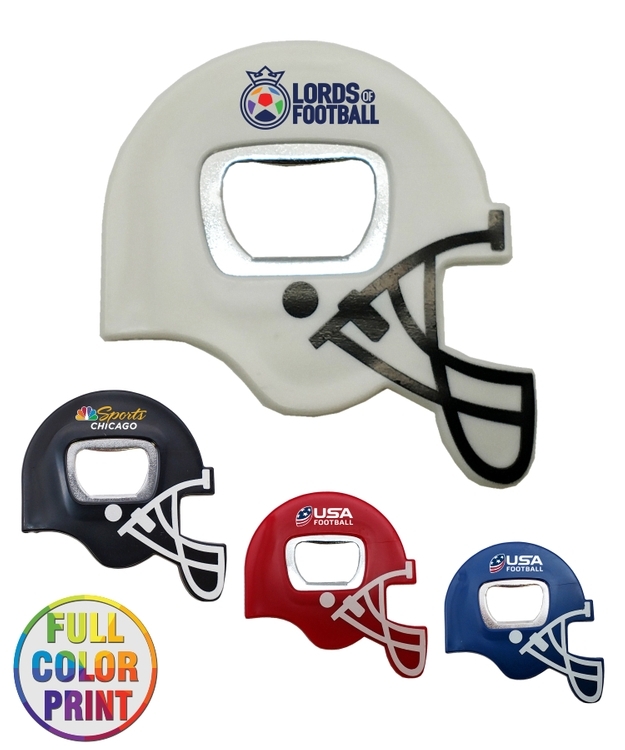 TradeNet Distributor Self Promo 3.5X8.5 Baseball Round-Corner Magnet - 25 mil.